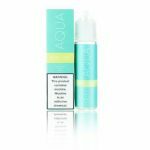 Aqua has their fair share of different juices with flavor profiles such as candy, menthol, and fruity some even combined into one. 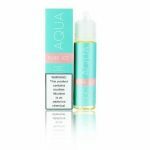 Aqua ejuice had also been around for a very long time and are still going headstrong, their delicious juices definitely keep them in business and have only inspired them to keep going and make more. 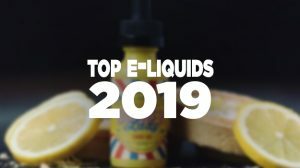 They have their range of top sellers vapors/consumers go nuts for; fruit flavors are never a bad choice especially if you’re going based off of Aqua and their selections. 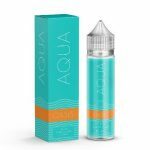 Aqua vape comes packaged in the most convenient way which is in a 60ml Chubby Gorilla bottle which will reduce less damage in any case scenario and all it takes is a squeeze and go without all the mess. Take your taste buds on a tropical vacation by dipping your tongue in the lush flavor of this juice. Aqua Flow Ejuice is a beautiful fusion of bittersweet pineapple, guava, and honey mango. Aqua Flow is the true combination of sweet and tart for those who are crazy for tropical fruits. Experience the fruitful sensation of freshly sliced pineapples and its bitter sweet-tart taste intertwining with the delicious intrusion of guava on the inhale, while on the exhale the savory mangoes joins in the tasty blend and leaves a sweet aftertaste after the clouds have left your mouth. Mist gets its name from the light showers of vapors that gently touches against your tongue with its nice hint of scrumptious freshly harvest fruits. It contains the extracts of juicy kiwis, sweet crisp apples, and the syrupy lush taste of pears. Deluge your tongue in this amazing mixture of fruits and experience the combination of the sensation of apples and pears on the inhale, topping it off with the tartness of kiwis on the exhale as the vapor coats every bit of flavor onto your tongue and creates a thick cloud with a nice delicious scent. Is a true nectarine based flavor combined with only the best quality of extracts? Oasis comes with a delicious blend of good peaches, fresh cantaloupe, and succulent papaya. It’s heavy and thickness that you’ll find in these three juices which aren’t as harsh as it sounds. 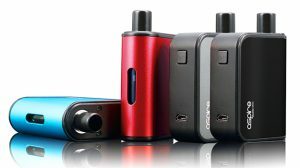 It’s actually quite pleasing and pleasant to the taste buds as you are vaping. 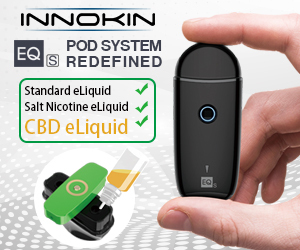 Your taste buds will not be disappointed in the luscious taste of succulent peaches and cantaloupe on the inhale since it soothes and calms down those cravings, along with the exhale you have the unique taste of papaya complimenting the other juices and creating one blast of lush flavors. Pure by Aqua Ejuice has its name for a reason. Every blend of fruit in this juice is the resemblance of each fruit and will take your taste buds on a peaceful journey to adventure the true essence of flavor. It’s the unique combination of mouthwatering watermelon, succulent strawberries, and crisp, delicious apples will only leave you astonished in the light but intense of this vape juice. 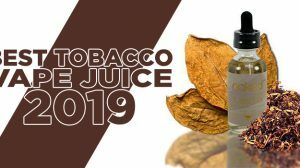 It’ll bring out that natural sugared flavor of watermelon and sweet strawberries on the inhale, along with the nice tart and sweet essence of apple giving a nice crisp twist to add to the mix. Candied coated vape with the delicious flavors of fruit concoctions. Rainbow Drops represents the colors. Imagine a perfect blend of delicious apples, luscious strawberries, and sweet grapes. 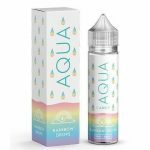 On the inhale of Aqua Rainbow Drops you’ll take that distinct flavor of the apples and strawberries coated onto your tongue, while of the exhale you have that nice deep grape flavored twist giving you lush sweet and savory notes blended into one cloud of thick vape. Sour Melons is that odd mixture of flavors combined into a bag of melon flavored candy with a sour tangy aftertaste. Imagine the blend of cantaloupes, watermelon, and honeydew melons. On the inhale of Aqua Sour Melons vape juice you’ll take that distinct flavor of the honeydew and cantaloupes coated onto your tongue, while of the exhale you have that nice watermelon and sour candy twist giving you lush sweet and honeyed notes all in one hit with the kick of hard sour candy lingering on your taste buds living your mouth puckered and soothed at the same time. When choosing an ejuice it’s all about the flavor, and sometimes even the packaging that draws your attention. I don’t know if it’s been scientifically proven but blue fruits or candy based flavors seem to always be the number one pick with anything like candy, fruit juices, and etc. Aqua Blue Razz definitely will be the best juice to give a try especially if you are a first time vapor looking for the perfect start off juice, it doesn’t have to even be a start off vape juice is could end up being your best friend with its wonderful quality of blue raspberry extracts along with its super sweet and tart flavor that it provides. Blue raspberry on the inhale and blue raspberry on the exhale offering nothing but lush flavor with slight earthy undertones that are never disappointing. Pure itself did so well in the industry that they just had to make a delicious iced version of this top-selling juice. 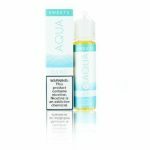 If you’re a fan of fruity juices with a nice bone chilling menthol kick then Aqua Pure Ice vape juice is the right choice for you. It’s like taking a bite into a deep chill batch of pineapples, guava, and mangoes and shaved bits of iced added onto to the top for those who enjoy the cooling effects of ice. Bring yourself to experience the thickness of honey mangoes and guava on the inhale, along with the tart and sweet sensation of pineapples with the slight iced winter like a cool breeze that’s dragged along on the exhale creating one mouthwatering sensation that’ll satisfy your needs for fruit and menthol. 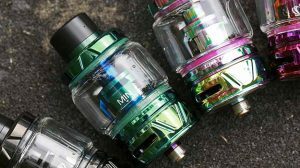 Mist also was doing so well Aqua decided that they’d ice this flavor too for the menthol lovers that are looking for that extra oomph when vaping on some tasty juice. Along with the tart green apples flavor, nectarous peach, and juicy kiwis they’ve added a nice frosty addition to this delicious mixture making it ten times more irresistible to resist. It’s got the unique combination of tart, sweet, and fruity all in on inhale, while on the exhale you have that cooling effect that sends goosebumps to your entire body leaving you in complete awe and amazing to how much flavor this vape juice can give along with that splash of menthol. 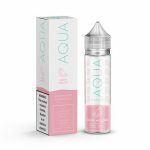 Altogether every one of Aqua’s juices all come with packing flavor with a wide variety of anything that you’re looking for especially if you’re the type to stay away from custards and desserts. Every bottle contains MAX VG which surprises many with how much flavor Aqua vape juice contains.